Have you ever wondered how the world would change if we made contact with extraterrestrial intelligent life? If you have, you’re not alone. A lot of people have been pondering the scenario lately, and their answers may surprise you. 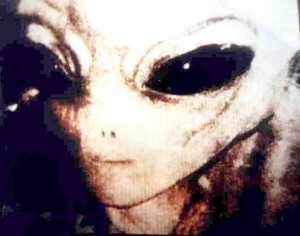 There are more than a few scientists who believe that alien contact will bring down human society. Their basic reasoning comes from the anthropological impact of colonialism in human society. Generally, when presented with a more technically advanced civilization, a less advanced society folds. An extraterrestrial species with sufficient technology to come to Earth would, by definition, have a huge technological advantage over us. Just as early colonists changed the landscape of America for few trinkets and a lot of Native American blood, an alien species could buy us with technology … and when we began to resist their changes to our society, they could easily eliminate dissenters. Famed theoretical physicist, Stephen Hawking, had this to say in 2010: “Such advanced aliens would perhaps become nomads, looking to conquer and colonize whatever planets the could reach. If so, it makes sense for them to exploit each new planet for material to build more spaceships so they could move on. Who knows what the limits would be?” Indeed, Dr. Hawking. And what if the resources they seek include more than materials? Might they need a labor force as well? Simon Conway Morris, an evolutionary paleobiologist at Cambridge has urged governments to prepare for the worst. SETI (Search for Extra-Terrestrial Intelligence) scientists reply that the cat is already out of the bag, noting that any advanced civilization that could destroy us with their technology could easily pick up the broadcasts we’ve been beaming into space since World War II. Comforting thought, isn’t it? Then there are New Agers and sci-fi buffs, which are convinced of the benevolence of any civilization with such technological credentials. Their rationale is that any species would had to have conquered their baser instincts in order to devote such substantial resources to spacefaring initiatives. Maybe they’re right, but there is absolutely no earthly precedent to support the notion that advanced technology makes a more benevolent species. Into this mix, throw the Vatican. In some bizarre attempt to sound current, Jesuit senior Vatican scientist, Guy Consolmagno, has said that he would be delighted if we encountered intelligent aliens and would be happy to baptize them. “An entity, no matter how many tentacles it has, has a soul.” In other statements, the Vatican has speculated that perhaps an alien civilization would come from an unfallen race that could teach us about theology and spirituality. There are others who believe the governments of the world have already made contact, and that statements like those of the Vatican are made to prepare us for the announcement that extraterrestrial intelligence has been found. This is one of the basic premises of my This Generation novels. Richard Dolan has written some very intriguing histories of UFOs and the development of the security state in America since World War II. Even more disturbing is a book by Nick Redfern entitled, Final Events. A think-tank group working for the US government contacted Nick. They told him of alien contact and their concern that the entities are not so much extraterrestrial as extra-dimensional. Further, they maintain that interactions with these entities bear many similarities to demonic activity noted throughout history. Their concern is that the US government has been led astray by a malevolent extra-dimensional intelligence. Pretty interesting comments from a non-Christian collection of America’s most brilliant men, wouldn’t you say? To sum it up, contact with alien life, whether in the present or in the future, would likely bring about significant changes to our species. If anthropology is a clue, it could result in our extermination or assimilation into a yet-unknown society. If the New Agers and the Catholic Church are right, it should be a party. If fundamental Christians and some very well known UFOlogists are right, contact with aliens is tantamount to contact with Hell itself. No matter how you view it, it sounds like a bumpy ride.